Ron is a retired engineer and manager for IBM and other high tech companies. He specialized in both hardware and software design. 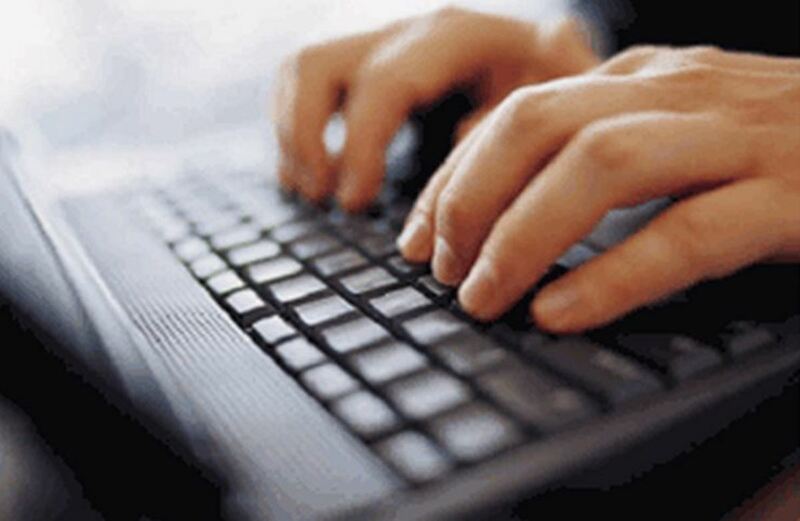 Functions such as installing, configuring, troubleshooting, and maintaining software, and even remotely printing documents on church printers are regular activities for these computers. But with them being physically scattered around the city, we needed a centralized way to manage them all. Starting in 2010 we used LogMeIn Free as our remote support software to provide that centralized management. LogMeIn allowed me as the System Administrator to actually control each of those computers from my home or office, almost as if I was sitting at that machine’s keyboard. LogMeIn not only provided us with tremendous benefits for minimizing the headaches of managing our computers, it did so at a price (free) that couldn’t be beat. But then, in January of 2014, disaster struck! LogMeIn emailed users of its free version saying that as of the date of the email, free would be free no more. From now on, only LogMeIn Pro, their paid product, would be available. (They did provide a grace period of one week before your free LogMeIn ceased to work). Purchasing the licenses needed to manage all our computers just wasn’t in the budget. So, we needed an alternative. Some research revealed that Google had a free service that would provide us with everything we had with LogMeIn, and more. That service is Chrome Remote Desktop. 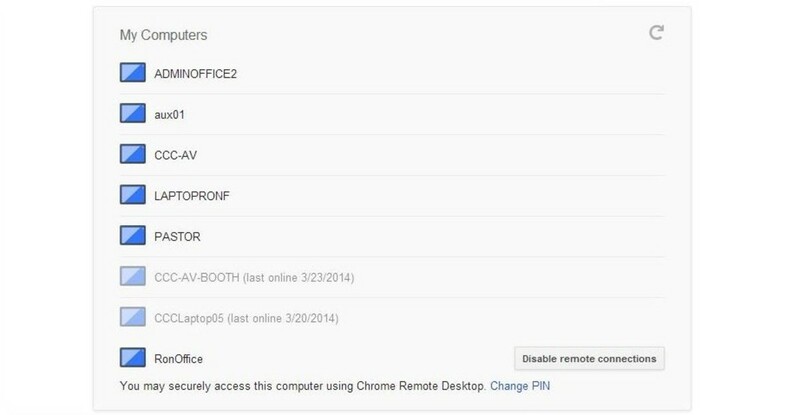 Chrome Remote Desktop is available for Windows, Mac OS, Linux, Chrome OS, and even Android using a web app. 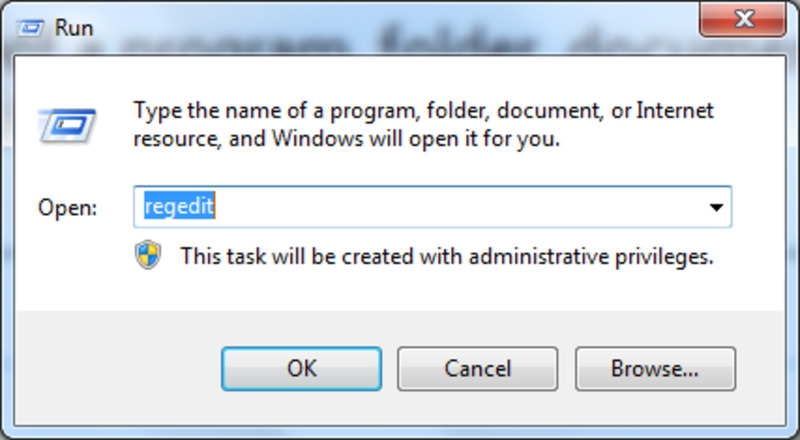 Once Chrome Remote Desktop is installed on a computer, that PC can be remotely controlled even if the Chrome browser is not running. Nor does the remote computer have to be logged in to your Google account. Of course, Chrome must be running on the controlling computer since the remote session takes place in a browser window. Unlike LogMeIn Free, you can control multiple computers at one time simply by conducting each remote session in a separate browser window. Response to mouse movements and keyboard clicks seems quicker and more seamless than with LogMeIn. Usually there is only a very minimal and hardly noticeable lag between me initiating some action, and seeing it take effect on the remote computer. 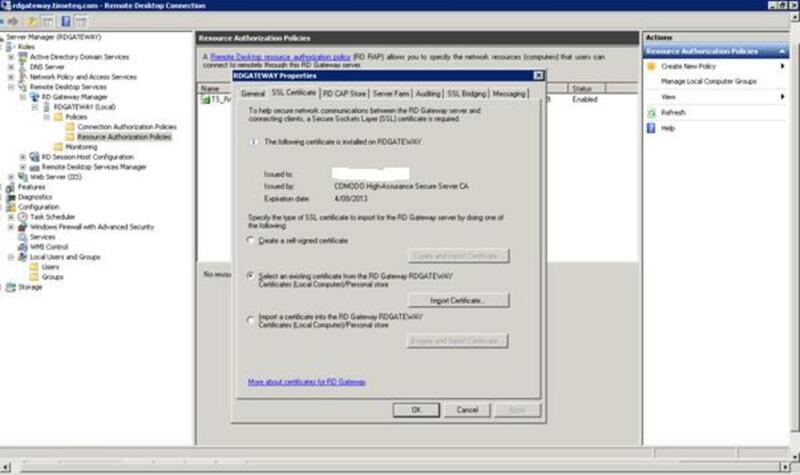 Although each computer in your remote desktop network must have its own unique PIN in order to access it remotely, you can choose to eliminate the requirement for typing in the PIN. This is a great advantage. Otherwise, when you have several computers you are controlling, you would have to look up the individual PIN for each one. The remote computer’s screen appears with greater crispness, clarity, and color fidelity than I remember with LogMeIn Free. Can you tell which of the above images came from the remote computer? 3. Now, Let's Get Started! That's it! You should now see "Remote connections for this computer have been enabled." Just click OK, and you are set up for remote sessions. 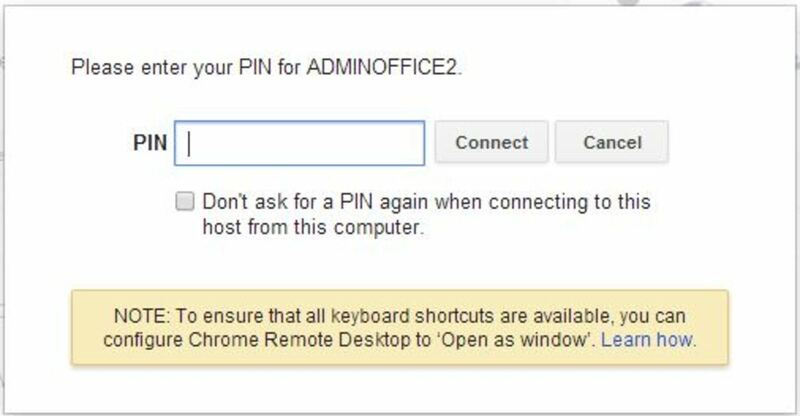 Note that you have the option to specify that you won't have to enter a PIN for this computer when you access it from the computer you are using now. 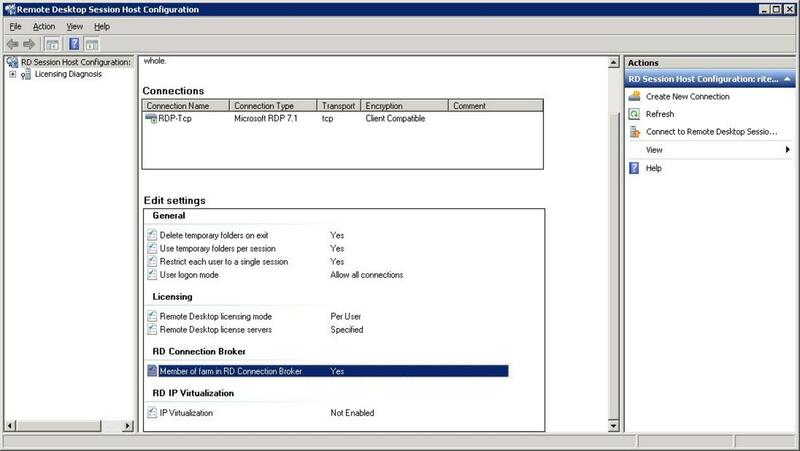 Note that the "Stop Sharing" button at the bottom of the remote computer's screen allows you to break the connection and end the remote session. In doing an internet search about the security of Chrome Remote Desktop, I’ve seen little questioning of the technical safeguards Google provides. The only real hesitation has come from people who simply don’t trust that Google, despite their statement that they can’t see our data, might be able to snoop on users. It really comes down to whether you trust Google’s integrity or not. Do you trust Google not to secretly access your data if you use their service? Given the tremendously negative consequences to Google if they were ever found to have breached their promise not to access users' data, I trust them on this. If you have a need to control a number of computers, give Chrome Remote Desktop a try. For our church, it’s working well and definitely makes managing our widely dispersed computers much easier than it would otherwise be. * Which photo is from the remote computer? The one on the right. Can I print on the "controlling" end? If I understand your question, you're asking if you can print on your end from a document that's on the remote computer that you are controlling. Remember that what your remote session is doing is in effect sitting you in front of the remote computer, as if you were there in person. So that computer can't do anything with you controlling it remotely that it couldn't do if you were sitting in front of it. Can you print on your end a document on the remote computer? Only if your network is set up so that you could print to your printer from that computer when it is not being controlled remotely. Hi, Vichet. To answer your questions, yes CRD is pretty easy to use, and yes you can have multiple sessions (I've tried it with 2). My work needs remote control too. I use Windows remote desktop but found it slow and lag from time to time and it needs to configure windows server service. 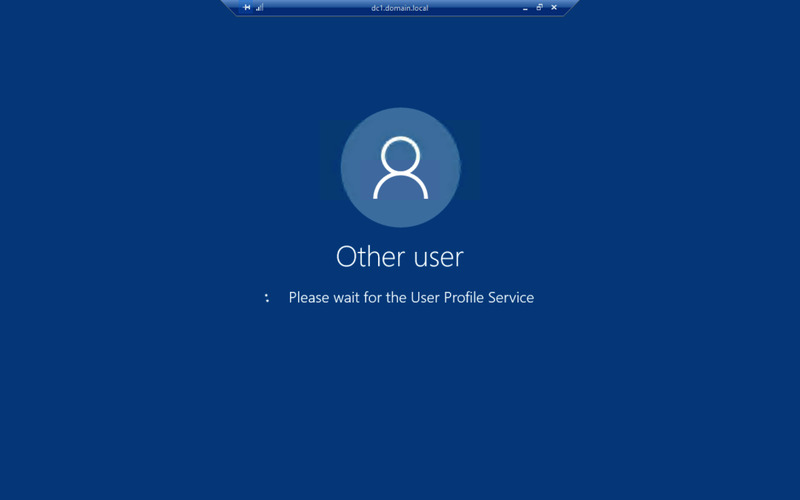 Then, I try TeamViewer free edition. It is very good. However, after several months of usage, TeamViewer requires commercial license. I am interested to try Chrome Remote Desktop. Since, I never know about this service. Is it easy to share files? Does it support multiple sessions to a singe machine? Okay, thank you so much for that information, I use Window 10. Thanks, Pam. Remote desktop is still working well for me. The one thing that has changed is that it no longer works with Windows XP, so you have to be running Win7 or Win10. Ron, what a helpful and inspiring hub. I think I will switch after reading your article. Thank you so much for sharing. I have used Google Remote Desktop in the past. It is nice and easy to use. I like use LiteManager for free remote desktop. Very simple app and usefull. Thnks to Ronald for good news! Hi, brendonfox. My conclusion about LogMeIn was that they didn't get enough people to voluntarily migrate from the free to their paid service. They had previously limited the number of computers you could have on a free account. So, it seems they were trying to stimulate that migration. Thanks for the info on RHUB. I am surprised why logmein discontinued the free version? It was doing good. Anyway, recently I have discovered another very good alternative; RHUB remote support servers for remotely accessing computers. 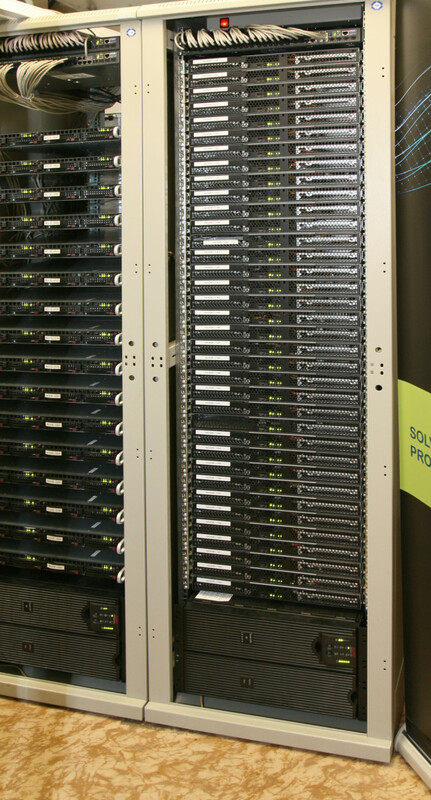 It provides support up to 1000 computers. Hi, Sean. I'm glad ScreenConnect is working for you. For us it doesn't meet our first requirement - we need our solution to be free! Thanks for reading and commenting. We switched over to ScreenConnect a few weeks ago. Loving it so far. Thanks, UnnamedHarald. I tried Windows Remote Desktop a few times, but was never able to make it work, even on our LAN, let alone the internet. 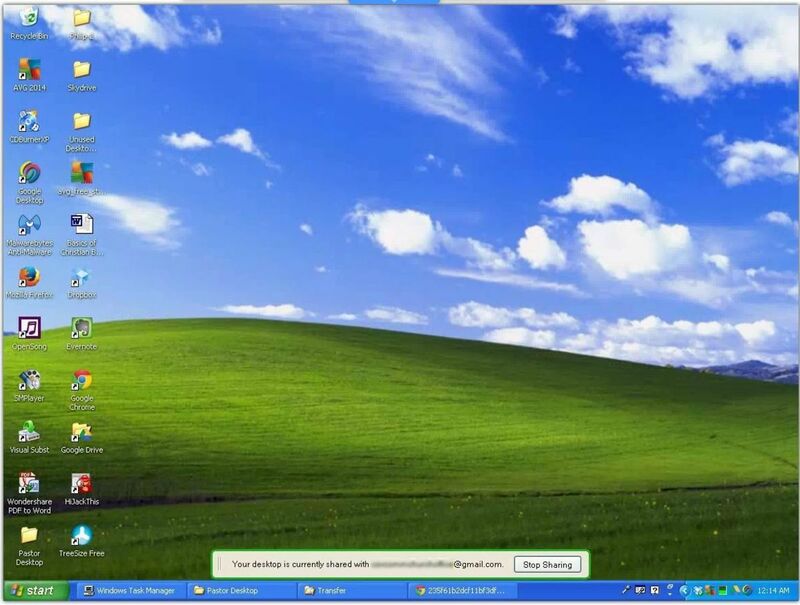 Now, with XP going away, we have a mix of Windows and Linux boxes. Google has promised full Chrome Remote Desktop compatibility for Linux, though it's not here yet. Very interesting to know. 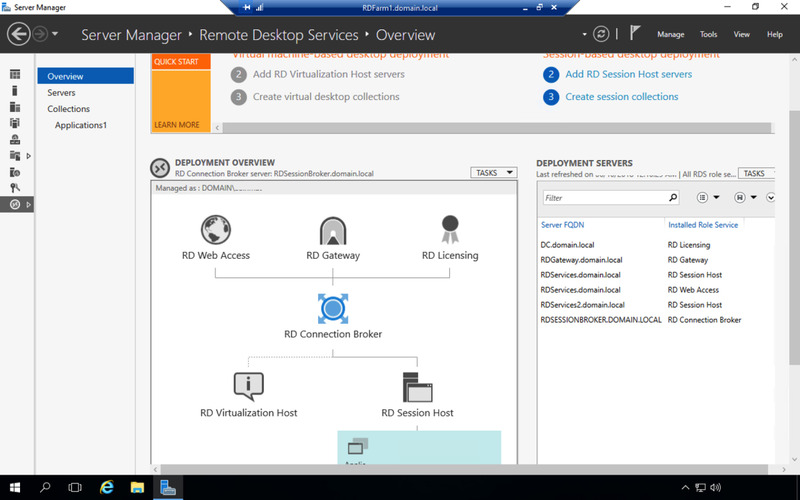 If you had all Windows PCs, could you use Windows Remote Desktop? Though it looks like Chrome Remote allows more central control. Great article, ronelfran.